Other Skincare products I use! Other skincare products post, where I show all products that I haven’t shown in the above two posts. 1) Bioderma Sensibio H2O Micelle solution – I absolutely love this one. It is so gentle and yet does an amazing job of removing makeup and impurities from the skin. Price : AED 35 for 100 ml (travel size). 2) St. Ives Makeup Remover & Facial cleanser – This has been my favorite for years now. It’s really thick and a tube lasts for so long. It is parabens and phthalates free and is a gentle formula. It has chamomile in it which is so calming for the skin. Price : AED 16.50 for 170gms. 1) Herbline Essentials White Lily & Ginger Face Wash – This is one of my latest favorites. I love this natural skincare brand and it’s products. They are so worth every penny you spend on them!. Read my full review here. Price : AED 109 for 150ml. 2) Neutrogena Deep Clean Facial Cleanser – Another brand that I really love and recommend. This is for Normal / dry skin and thus perfect for me. Read my full review here. Price : AED 36.50 for 200ml. 3) The Face Shop Green Tea Cleansing Foam – My least favorite one. I still reach for it sometimes since I hate wasting products. Read my full review here. Price : AED 41 (on sale) for 170 ml. 4) Neutrogena Visibly Clear Daily Wash – This was gifted to me by Sally. This product is actually for combination/oily skin. It’s green in color and has a lovely consistency. When I use it, my skin feels tight but I immediately moisturize after that. You must be wondering why do I use it then!. It’s the smell of it!. It has the most amazing citrus scent. It is uplifting and refreshing. Still, I use it only occasionally. Price : AED 44.75 for 200ml. 1) Everyuth Exfoliating Scrub – This is a very budget friendly scrub that I have been using quite regularly of late. Read my full review here. Price : Rs. 105 (AED 6.28) for 100 gms. 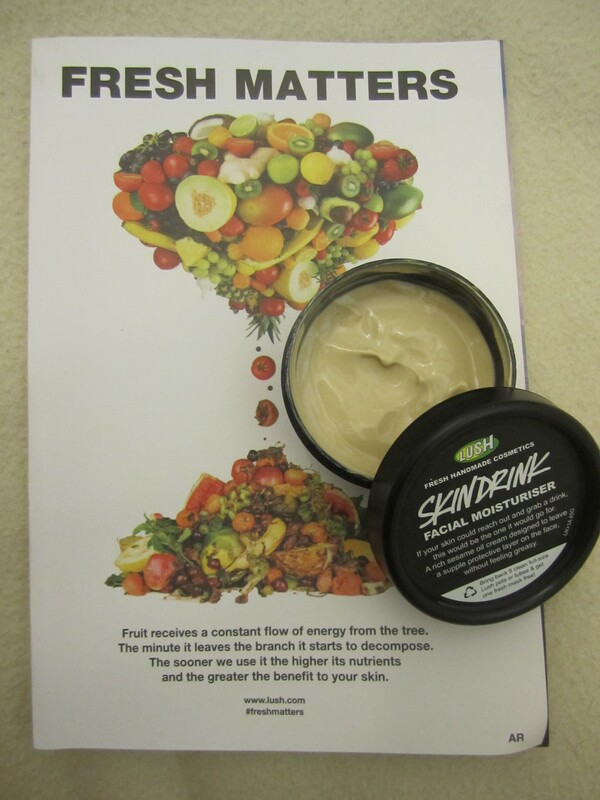 1) Mad Hippie Exfoliating serum – This is my love since last October. A phenomenal serum that should be in everyone’s skincare collection, if they are into an anti aging routine. Read my full review here. Price : $27.99 (AED 102.81) for 30ml. I bought it online and had it shipped to me here in UAE, from US in 2 days. 1) Vaseline Healthy White lip care : This one is a very handy lip balm which I bought from India. It’s basically Vaseline in a tube but it’s consistency is more better suited to easily pump out of the tube. It protects against UV & lip darkening. It guarantees 24 hour+ moisturization and I definitely recommend it. Price : Rs. 60 (AED 3.59) for 9 gms. 2) Neutrogen 6 hour Protection lip balm : This is so hydrating, I cannot recommend it enough!. It delivers almost immediate results. Dry and chapped lips are a thing of the past when I carry this around with me. I love it. Read my full review here. Price : 16.50 for 15 ml. 3) Himalaya Herbals Lip balm : This one contains Carrot seed oil and wheatgerm oil. It is intensely nourishing and I highly recommend it. I bought it from India. Price : Rs. 20 (AED 1.20) for 10 gms. 1) Human + Kind Anti Ageing cream – I have had this for a while now. It’s very hydrating and potent. When using this, I skip serum and eye cream that day since this one can be used in place of those. It’s multi purpose. I am about to finish this bottle. Read my full review here. Price : AED160 for 50 ml. 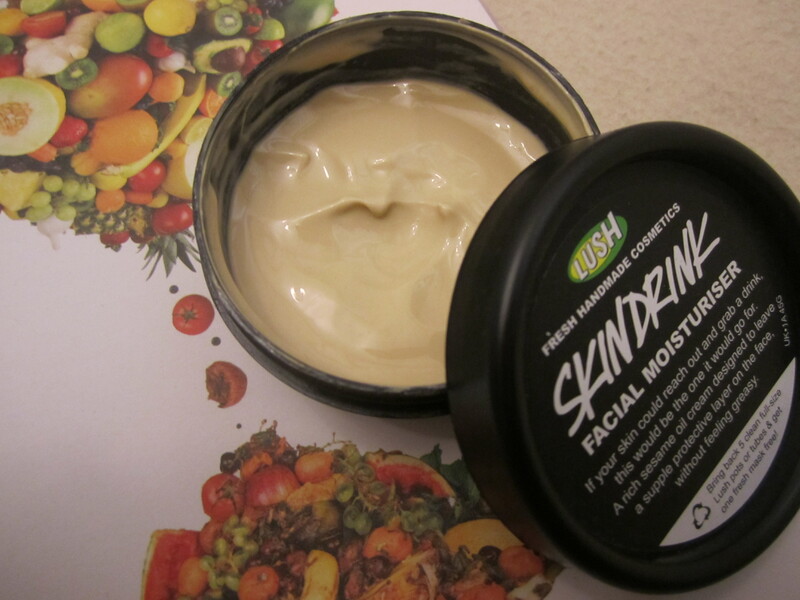 2) Herbline Essentials Nourishing cream – This is a miracle in jar. What a stunning product!. It helped me get through this really cold weather. It protected my skin against the drying, harsh winter. Definitely check this product out!. This tub lasted me about an year. It’s a recent empty product and so I decided to still show it. Read my full review here. Price : AED 141 for 50 gms. 3) Olay Age Perfect Anti- Ageing Cream – I love Olay like crazy. It’s an amazing brand. However, I hate this product. It’s consistency is nice and it gets absorbed into the skin fast. But it left my skin looking greasy and it has the weirdest smell ever. I bought this from India. It’s a Made in Thailand product. Usually, the Olay products sold here in UAe are made in Poland and they are top quality. But I noticed that the ones sold in India is either made n India or made in Thailand and imported there. Anyways, this cream didn’t do anything magical for me. Price : Rs. 125 (AED 7.45) for 18gms. Yes, it contains only 18 gms!. It’s a tiny tube. 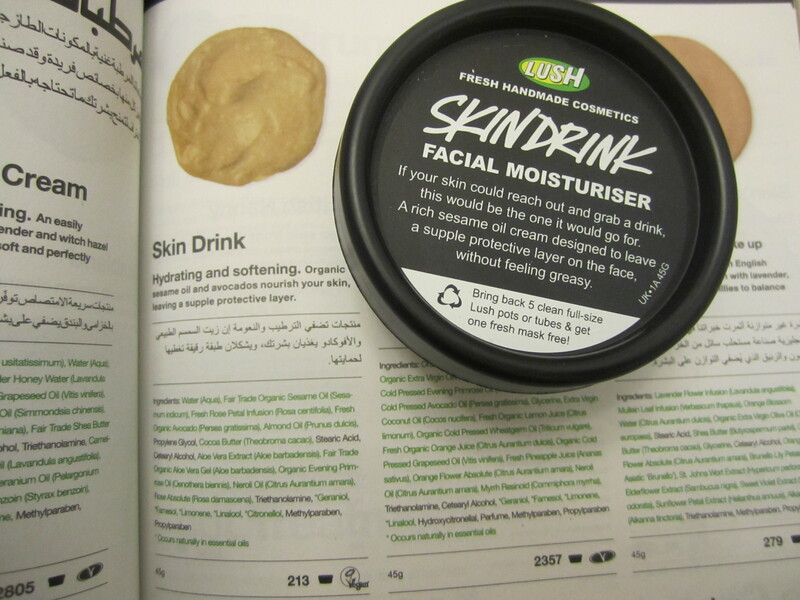 4) Skin Drink from Lush – This is another brand that really helped my skin in the winter. It is so hydrating and becomes a shield against the cold winter nights. Totally recommend it!. Read my full review here. Price : AED 135 for 45 gms. Review : Happy Hippy from Lush! Today I’m reviewing Happy Hippy, which is a shower gel from Lush. What I love the most about is that it’s main ingredient is grapefruit, one of my favorite fruits!. The gel has a beige, greenish color to it. It captures the smell of grapefruits beautifully, since they have used fresh pink grapefruit juice to make it. It is very refreshing to the senses and especially great when used in the mornings, since you feel energized and wide awake. It doesn’t overly lather up but it’s just right. Once you use it, you can feel that soft smell lingering on your skin for a while. That smell is really clean and fresh. Also, this is a vegan product. 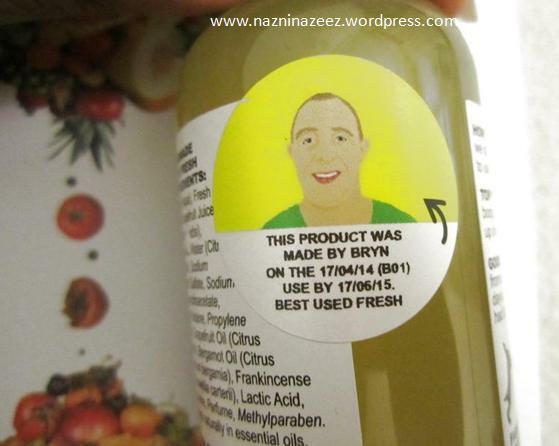 I like the little sticker on the bottle which shows details like when this product was made, by whom and its expiry date. Another great thing about it is that it’s multifunctional!. You can use this shower gel as a hair washing gel too. I own a 100gms bottle, which is enough to last a good while since you need a little each time you use it. Price: AED 42 for 100 gms. It comes in 250gms and 500gms bottles too. It costs AED 84 and AED 126 respectively. Try this shower gel if feeling closer to nature is your kind of thing!. You can buy it online from the Lush store by clicking here or visit any of the numerous branches of Lush in UAE or worldwide to get a bottle for yourself!